Bringing high-quality, full-stack web development services to companies, non-profit organizations, and startups nationwide. Our ultimate goal is to make the art doing business frictionless. Whether you're looking to drive leads to your email campaigns, architect a custom platform that integrates with legacy systems, or put a mobile app in the hands of your users – we have you covered. We're excited to craft the best solution to fit your specific business needs. A great interface and user experience can turn a normally-blah experience into an absolute joy. Beyond that, increased ease-of-use for your users can translate directly to increased conversions, strengthening your bottom line. In addition to the heavy-lifting of back-end development, we'll handle the nitty-gritty of your product's all-important design and layout. We're quickly working on some new concepts and products of our own, targeted for small business owners, churches and ministries, entrepreneurs, and more. Stay tuned for specific product offerings! 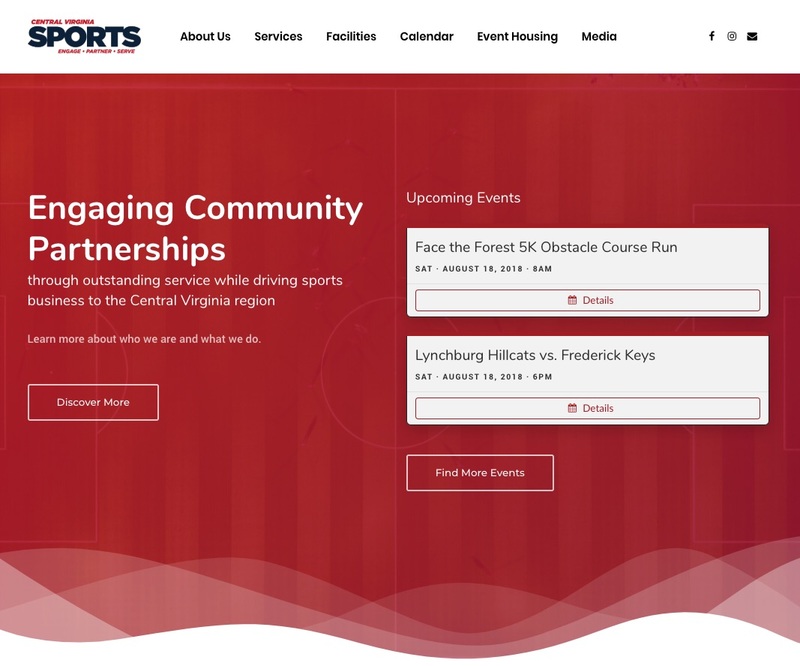 Central VA Sports is an organization committed to supporting the sports industry in Central Virginia. Being a new formation, the client sought a clean, easy-to-use website to help them make a strong impression with venues, event-goers, sponsors, and operating partners. In addition to serving up static content, the site also boasts a robust event calendar system – all interfacing with a customized administrative interface, which allows for straightforward site management by organization leadership. Call or text 407.494.3076, or send a message below and we'll be in contact very soon.